if you select Overnight Shipping! 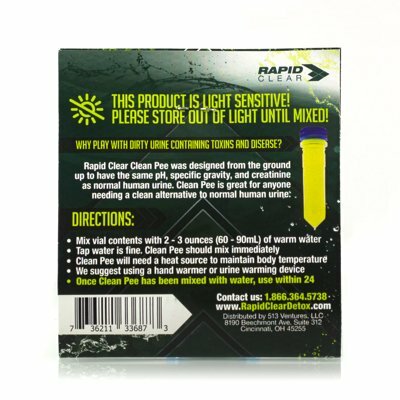 Rapid Clear Clean Pee is our concentrated synthetic urine that can be used by males or females. Rapid Clear Clean Pee is designed to have all the chemical properties of real human urine and is balanced for pH, creatine, and specific gravity, all of which you would find in a toxin free urine. This product is so easy to you that all you need is a few ounces of warm water and a delivery method and you're good to go. ALL WIZCLEAR PRODUCTS INCLUDING THE PISS PERFECT ARE NOT INTENDED FOR ANY ILLEGAL PURPOSES, FOLLOW ALL STATE AND FEDERAL LAWS WHILE USING WIZCLEAR PRODUCTS. ALL PRODUCTS ARE INTENDED AS A NOVELTY ITEMS. Buyer/user assumes all responsibility and liability associated with these products. Buyer/user agrees to hold harmless all entities associated with this product. Not intended to violate any laws and is not for sale where prohibited. Buyer/user warrants product is legal in his/her jurisdiction. These products will not be shipped to residents of AR, FL, IL, KY, NJ, NC, NH, SC, OR, TX, or any prohibited state or country if intended use is to influence a drug test. Buyer/user warrants that he/she is of legal age. We do not condone or encourage illegal activity or use of illegal drugs, especially on the job. 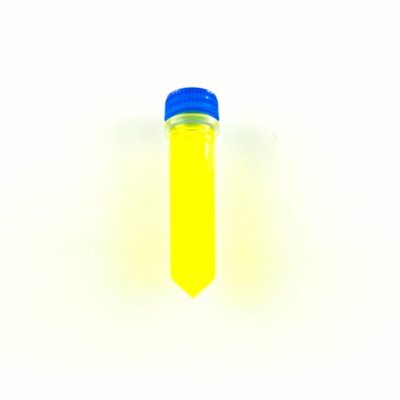 You understand and agree that our products are not to be used for any illegal purposes, including use for lawfully administered drug tests. We shall have the right to refuse or cancel any such orders. All sales are final.